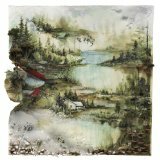 Bon Iver, Bon Iver is ranked 2nd best out of 5 albums by Bon Iver on BestEverAlbums.com. The best album by Bon Iver is For Emma, Forever Ago which is ranked number 92 in the list of all-time albums with a total rank score of 26,736. Members who like this album also like: For Emma, Forever Ago by Bon Iver, In Rainbows by Radiohead and The Suburbs by Arcade Fire. American Family Insurance Amphithea, Milwaukee, United States. Kings Theatre, Brooklyn, United States. Related links: top tracks by Bon Ivertop tracks of the 2010s, top tracks of 2011. Showing latest 5 ratings for this album. | Show all 1,093 ratings for this album. Based on what he is doing right now, I have a feeling this album will be looked back upon as a transitional album for Vernon. Not that that is an inherently bad thing in any way. Talk Talk's "Colour of Spring" is a transitional album, and it's also one of my all time favorites. Hell, even "Rubber Soul" (Beatles) and "Bringing It Back Home" (Dylan) are transitional albums. And they're all superb. But another common thread between all these albums is that they were eventually eclipsed by more audacious, groundbreaking works that built upon the transitional nature of their previous album(s). Though many may disagree, I think that is what Bon Ever has done with 22, A Million already. And if you're not convinced yet, I think you will be. Only getting into Bon Iver - initially through For Emma which I thought was outstanding. First couple of listens I didn't think this was reaching the same level - yeah it probably is more polished and produced and lost some of that initial Emma charm, but I've given it a few listens now and it's grown on me. No bad tracks for me - "Perth" is a beautiful opener and "Beth/Rest" a great closer. In between we have "Holecene" through to "Hinnom, TX" all doing the business. Looking forward to catching up on their other stuff. Really good album. Minnesota is criminally underrated in my opinion. It now feels like the weakest Bon Iver album. It's still a very good album but it doesn't have the vurnerability of the debut nor the experimentation of the third. It falls a bit short on both of those categories. It's easy for most to cast this of as a middle-of-the-road folk album but they've created is like nothing and something you've heard before. 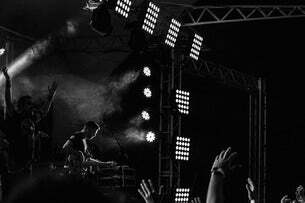 Permeated with loose song structures, delicate but eerie synths and crushing lines on malaise. If you didn't enjoy it frst time around, I strongly suggest another try and a try after that, the pay off is euphoric. The album may not do much as far as sophisticated music, but it knows what it is. The first half of this album is absolutely incredible. This album was instantly nostalgic for me even after only a few listens. A unique and immensely emotional indie art rock record that has no equal. I don't have an explanation for why I like this album so much, I honestly don't. There's nothing musically original or stylistically profound on here, it just has this soul-wrenching quality to it I can't explain. Even on the less profound songs on the back end I feel my spirit moved. When reading comments on "For Emma, Forever Ago", I read several comments comparing that album to this one, and stating that this album was over produced. After having listened to the album, I have to agree with them. Thats not to say that I think that the other album is better. I think they're both flawed album, but in very different ways. After falling in love with, 22, a million, I went and listened to this album again and it suddenly made even more sense. All three records are absolutely beautiful. Stunning music, a unique and brilliant artist. Superb.